Stores that carry our products. Restaurants that serve our products. be displayed in your shopping cart. 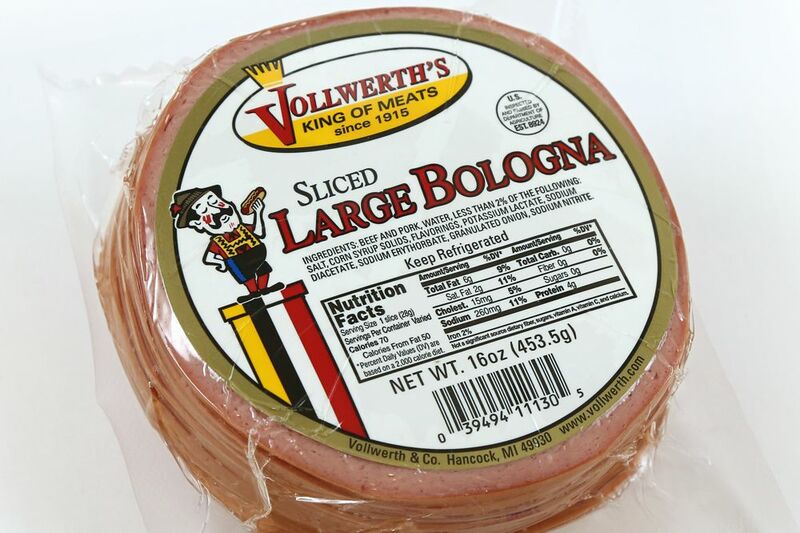 1# Sliced Large Bologna is great for sandwiches and snacks 16 slices per package. Beef, Pork, water, salt, corn syrup solids, potassium lactate, flavorings, sodium diacetate, sodium erythorbate, and sodium nitrite. Vollwerth’s and Baroni’s are trademarks of Vollwerth & Company. © 2018 Vollwerth & Company. All rights reserved.